The Muse residences at 409 St Kilda Road are completely customisable, with purchasers having the opportunity to personalise the perfect home setting via some of Australia’s top interior design studios; Bruce Henderson Interiors (BHI), Kerry Phelan Design Office (K.P.D.O.) and Greg Natale – or alternatively, they can engage their own. The Muse has been envisioned as the top tier in luxury living, offering absolute privacy and security, with residences predicted to become virtually unattainable in the future. 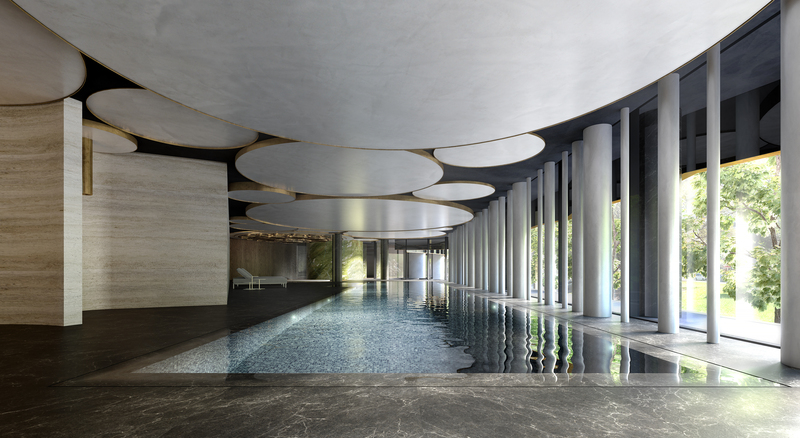 The 14-level residential development will comprise no more than 42 large residences with two amenity levels that include a 20-metre lap pool, a separate relaxation pool, spa, and a large gymnasium. It will also have a serviced club lounge, and 6-star hotel-style ground floor lobby featuring specially chosen artwork and sculptures. Paul Bangay gardens frame the entrance to the building, and residences, that start from level three, have north-facing living with views over the Shrine of Remembrance and Royal Botanic Gardens through to the city. All residences contain a minimum of 3 bedrooms and range from 219 square metres, plus 21 square metres of balcony, to the largest penthouse which is more than 1001 square metres, plus 190 square metres of outdoor terrace, with ceiling heights of three metres in living areas. Prices start at $3.2m and the penthouse is valued at around $45m. 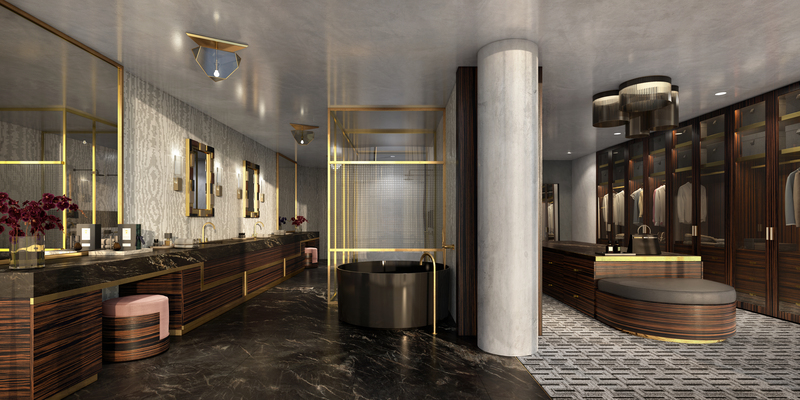 The Muse’s penthouse has been designed to provide amenity and luxury on a scale never previously conceived in Melbourne and is expected to break the current price record for a residential apartment in Melbourne. 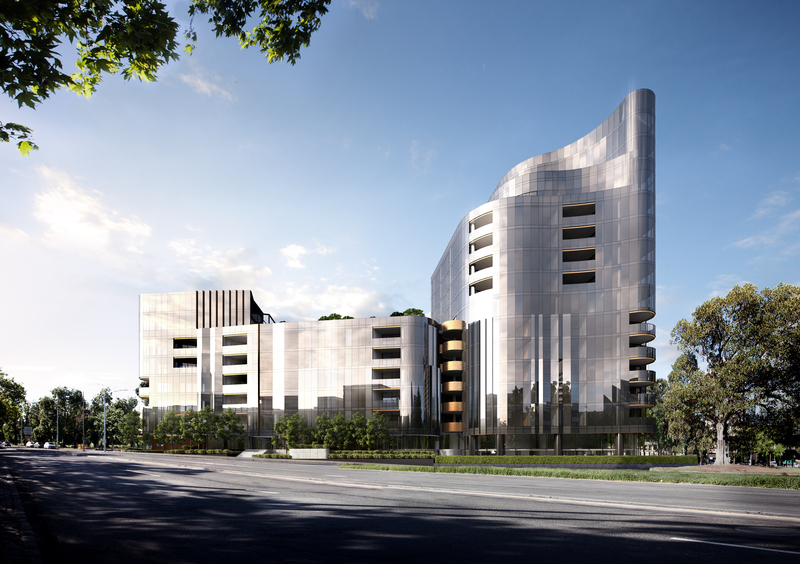 The Muse has been designed by Bruce Henderson Architects (BHA) as an elegant, dynamic and sensuous building inspired by the flow of a veil and the feminine form. The interiors project is led by Charlotte Henderson, Director of Interiors at Bruce Henderson Interiors (BHI). Ms Henderson has described the interior finishing of hand-stitched leather and highly crafted fine metals and timbers, emulating the craft of coachbuilding, associated with the finishing of luxury cars in the 1920s and 1930s. Interior highlights expected for The Muse include a curved 4.2-metre kitchen island wrapped with veined marble, $11,000-plus toilets by innovative Japanese maker Toto, natural travertine and marble flooring, 100% pure silk carpets, French oak herringbone parquetry custom-coloured to match a fine Italian wine and hand-stitched leather finishes for the walk-in robes. A spectacular two-level display has just been completed for The Muse at the top of the site’s existing building. Entrance is by invitation only.